If you’re new to the VoIP world and aren’t quite ready to dive into the Nerd Vittles cloud computing offerings, then we have a one minute setup solution today that doesn’t require you to buy anything ever. 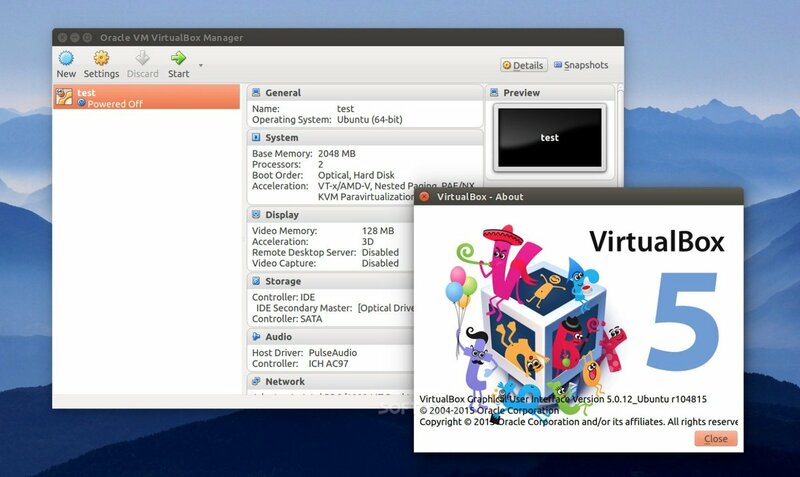 You can use almost any desktop computer you already own to bring up the VirtualBox® edition of Incredible PBX® in less than 60 seconds. If you’ve followed Nerd Vittles over the years, you already know that VirtualBox from Oracle® is one of our favorite platforms. Once VirtualBox is installed on your desktop computer, adding Incredible PBX is a snap. Download the new Incredible PBX vbox image from SourceForge, double-click on the downloaded image, check the initialize MAC address box, and boom. In less than a minute, your PBX is ready to use. The really nice thing about playing along today is it won’t cost you a dime to try things out for yourself. And, if you really love it and we think you will, there’s no hidden fee or crippleware to hinder your continued use of Incredible PBX for as long as you like. Of course, the Incredible PBX feature set is included as well which brings you nearly three dozen applications for Asterisk® that will revolutionize your communications platform. Just add your credentials and speech-to-text, voice recognition, and a Siri-like telephony interface are as close as your nearest SIP phone. If you later decide you’d like to migrate your server to an inexpensive cloud-based platform, Incredible Backup and Restore make it a 15-minute turnkey task. To begin, download the latest Incredible PBX vbox image (2.6 GB) onto your desktop. Incredible PBX 13-13.10 includes all of the very latest FreePBX® 13 modules. For those new to PBXs, here’s a two paragraph summary of how Voice over IP (VoIP) works. Phones connected to your PBX are registered with Extensions so that they can make and receive calls. When a PBX user picks up a phone and dials a number, an Outbound Route tells the PBX which Trunk to use to place the call based upon established dialing rules. Unless the dialed number is a local extension, a Trunk registered with some service provider accepts the call, and the PBX sends the call to that provider. The provider then routes the call to its destination where the recipient’s phone rings to announce the incoming call. When the recipient picks up the phone, the conversation begins. Looking at things from the other end, when a caller somewhere in the world wishes to reach you, the caller picks up a telephone and dials a number known as a DID that is assigned to you by a provider with whom you have established service. When the provider receives the call to your DID, it routes the call to your PBX based upon destination information you established with the provider. Your PBX receives the call with information identifying the DID of the call as well as the CallerID name and number of the caller. An Inbound Route on your PBX then determines where to send the call based upon that DID and CallerID information. Typically, a call is routed to an Extension, a group of Extensions known as a Ring Group, or an IVR or AutoAttendant giving the caller choices on routing the call to the desired destination. Once the call is routed to an Extension, the PBX rings the phone registered to that Extension. When you pick up the phone, the conversation begins. With a VoIP server, many PBXs and Extensions are housed behind a NAT-based router that is found in most homes and businesses. These routers assign private IP addresses that are not accessible from the Internet. This causes SIP routing headaches because there are actually two legs to every call, one on the private IP address of your server or extension and another on the public Internet with an entirely different IP address. Routers supposedly handle this handoff of the call using Network Address Translation (NAT) and SIP ALG. With Asterisk-based PBXs, we want the PBX itself to handle the NAT chores so it is critically important to do three things when setting up your PBX. First, turn off SIP ALG on every router used by your PBX and every extension connected to your PBX. Second, tell your PBX about your public and private IP address setup. Step #2 is done in the Incredible PBX GUI with a browser. Login as admin and choose Settings:Asterisk SIP Settings. In the NAT Settings section of the form, click Detect Network Settings. Make sure your public and private IP addresses are correctly listed. Then click Submit and reload your dialplan when prompted. Failure to perform BOTH of these steps typically results in calls with one-way audio, i.e. where either you or the called party can’t hear the other party in the conversation. The third rule to remember is to always configure SIP Extensions on your PBX with NAT Mode=YES. This is rarely harmful and failure to configure SIP extensions in this way typically causes one-way audio in calls as well. IAX extensions avoid NAT issues. Extensions are created using the Incredible PBX GUI: Applications:Extensions. Many SIP phones expect extensions to communicate on UDP port 5060. If this is the case with your SIP phone or softphone, then always create Chan_SIP extensions which communicate on UDP 5060. If your SIP phone or softphone provide port flexibility, then you have a choice in the type of SIP extension to create: Chan_SIP or the more versatile PJSIP. Just remember to always configure SIP extensions with NAT Mode=YES in the Advanced tab. If your VoIP phones or softphones support IAX connectivity, you may wish to consider IAX extensions which avoid NAT problems. When you create a new Extension, a new entry is automatically created in the PBX Internal Directory. If you wish to allow individual users to manage their extensions or use the WebRTC softphone, then you will also have to create a (very) secure password for User Control Panel (UCP) access. Choose Admin:User Management and click on the key icon of the desired extension to assign a password for UCP and WebRTC access. SIP phones and softphones typically require three pieces of information: the IP address of your server, the extension number, and the extension password. If you’re using a PJSIP extension, you also will need to change the port to UDP 5061. If your server is behind a NAT-based router, SIP phones also behind the same router need to use the private LAN address rather than the public IP address. If the SIP phones are outside the router protecting the PBX, then use the public IP address and make certain that you also map ports 5060 and 5061 from your router to the private LAN address of your PBX. Beginning with Incredible PBX 13-13.10, you now can make free SIP URI calls worldwide from almost any SIP phone or softphone. Our SIP URI tutorial covers everything you need to know. The PIAF Forum can provide you with helpful information in choosing high quality SIP phones. Yealink phones are highly recommended with minimal issues. Cisco phones are the most difficult to configure. Insofar as free softphones, we recommend the Zoiper 3 offerings for Windows, Mac, iOS, and Android. Zoiper 5 still is experiencing some growing pains. A key advantage of the Zoiper softphone is it supports IAX extensions which eliminate the NAT issues entirely. On the Mac platform, we also recommend the Telephone app which is available in the App Store. 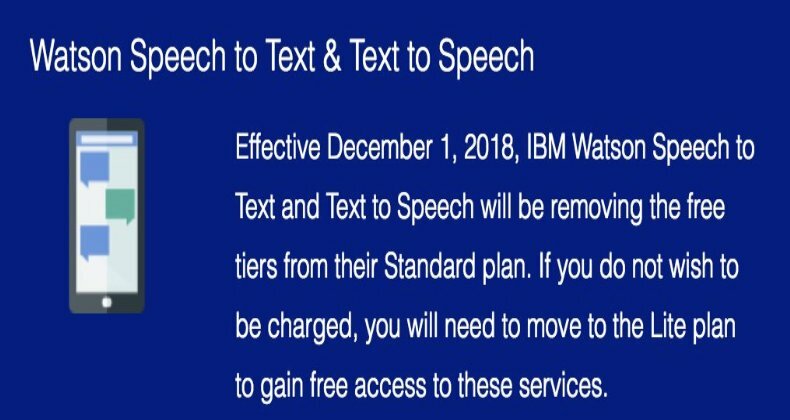 For SRTP communications, use Grandstream Wave. Perhaps the most difficult component to configure in the PBX is the Trunk. Almost every provider has a different way of doing things. We’ve taken some of the torture out of the exercise by providing configuration settings for dozens of providers. All you need to do is edit the desired Trunk (Connectivity:Trunks), change the Disable Trunk entry to No, and insert your credentials in both the PEER Details and Registration string of the SIP Settings Outgoing and Incoming tabs. UPDATE: Whether your desktop PBX has a static IP address on the Internet or not, you now can take advantage of a terrific Nerd Vittles Skyetel offer of $50 in free service using Skyetel’s just released support for dynamic IP addressing. Start by mapping UDP ports 5060 and 10000-20000 to your server from your router. The firewall settings and Skyetel trunk setups are preconfigured in this VirtualBox image. Once you get this far, you’re ready to install Skyetel’s new dynamic IP address updater. This is required since you never actually register a trunk with Skyetel. Here’s how. Log into your server as root and cd /usr/src. Then follow this tutorial to put the pieces in place. While this is beta software at this juncture, we have tested it with excellent results. However, if you run into issues, please post your questions on the PIAF Forum. Now jump over to our Skyetel Tutorial to claim your $50 credit and to get your account set up and configured. Of course, Incredible PBX comes preconfigured with setups for dozens of other providers that let you register a new trunk on the provider’s server. VoIP.ms (free iNUM), CircleNet, CallCentric (free DID and iNUM), LocalPhone (25¢/mo. iNUM), Future-Nine, AnveoDirect, and V1VoIP are excellent options.2 Most don’t cost you anything unless you make calls. Review our complete SIP tutorial here: Developing a Cost-Effective SIP Strategy. Inbound Routes, as the name implies, are used to direct incoming calls to a specific destination. That destination could be an extension, a ring group, an IVR or AutoAttendant, or even a conference or DISA extension to place outbound calls (hopefully with a very secure password). Inbound Routes can be identified by DID, CallerID number, or both. To create Inbound Routes, choose Connectivity:Inbound Routes and then click Add Inbound Route. Provide at least a Description for the route, a DID to be matched, and the Destination for the incoming calls that match. If you only want certain callers to be able to reach certain extensions, add a CallerID number to your matching criteria. You can add Call Recording and CallerID CNAM Lookups under the Other tab. Outbound Routes serve a couple of purposes. First, they assure that calls placed by users of your PBX are routed out through an appropriate trunk to reach their destination in the least costly manner. Second, they serve as a security mechanism by either blocking or restricting certain calls by requiring a PIN to complete the calls. For example, if you only permit 10-digit calls and route all of those calls out through a specific trunk with a $20 account balance, there is little risk of running up an exorbitant phone bill because of unauthorized calls unless you’ve deposited a lot of money in your account or activated automatic funds replenishment. This raises another important security tip. Never authorize recurring charges on credit cards registered with your VoIP providers and, if possible, place pricing limits on calls with your providers. If a bad guy were to break into your PBX, you don’t want to give the intruder a blank check to make unauthorized calls. And you certainly don’t want to join the $100,000 Phone Bill Club. To create outbound routes in the Incredible PBX GUI, navigate to Connectivity:Outbound Routes and click Add Outbound Route. In the Route Settings tab, give the Outbound Route a name and choose one or more trunks to use for the outbound calls. In the Dial Patterns tab, specify the dial strings that must be matched to use this Outbound Route. NXXNXXXXXX would require only 10-digit numbers with the first and fourth digits being a number between 2 and 9. Note that Outbound Routes are searched from the top entry to the bottom until there is a match. Make certain that you order your routes correctly and then place test calls watching the Asterisk CLI to make sure the calls are routed as you intended. There are a million ways to design outbound calling schemes on PBXs with multiple trunks. One of the simplest ways is to use no dial prefix for the primary trunk and then use dialing prefixes such as *1 and *2 for the remaining trunks. Ward, as always, looks great! Since I now have the OBi200 with GV on it, will there be any updated installation information for accessing the OBi200 from the Virtual Box? I look at it this way, a one-time charge and external access is still free for now. I hope you will not completely abandon the OBi200 solution as many of us have purchased the units. It may not be a priority for you but please from time to time add an updated article of HOWTO for this solution so we can enjoy testing, etc. your latest work and get free access in/out of the systems. e.g. how to use it from RPi or VirtualBox solutions. It sure beat the old U100 solutions for an FXO connection. All my Digium cards are now extinct. I got a card and phone when I took the Asterisk classes. Thanks for all you do – Keep doing it!